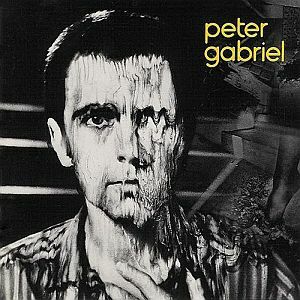 Peter Gabriel's third solo album (either called Peter Gabriel 3 or Melt) showed an improvement over Gabriel's preceding two efforts and an incorporation of new ideas and styles. Gabriel had acquired a recent interest in world music, particularly for percussion and this can clearly be heard on Games Without Frontiers and Biko. He brought in a new producer, Steve Lillywhite, and incorporated a lot of recording trickery and sound effects. One of the most notable changes was the used of the now-famous gated drum sound invented by Hugh Padgham and Phil Collins (who performs on this album). Gabriel also requested that his drummers not use any cymbals which helped give this album a more aggressive sound. Lyrically and musically, Melt was much darker that Gabriel's earlier releases and many hailed it as the album they had all been waiting for him to make. To be honest, his previous two solo efforts could hardly compare to the great contributions he made during his Genesis era. To be even more honest, neither does this one. However, Melt is a significant improvement for Gabriel, who often seemed to be without direction. This album tied things together much more nicely and it shows in the performance, and especially his vocal delivery (which seemed a shadow of it's former self for quite some time). In the rock world, many consider Melt a groundbreaking effort, and maybe that is so, but try comparing this with Selling England by the Pound. See what I mean? Melt is musically an aggressive form of pop/art rock. The pop song structures are still the same as before. Gabriel just incorporated some new sounds into it. Admittedly this is more progressive than his first two albums, albeit chiefly as tendencies rather than outright prog rock. If you're looking for any connection to early Genesis, you surely won't find it here. But if pop/art rock just bordering on progressive is your thing, this is probably one of the best to look for. It's also probably the best solo effort Gabriel ever released and I would recommend starting here. After listening to this, if you don't like it, you probably won't like any of Gabriel's other albums. For me, I really enjoy this album. But I will be the first to admit that the progressiveness of this is far from what I wish Gabriel would have done. On a hypothetical Rock Archives site, this might be considered a masterpiece. In prog rock terms, three stars seems more suitable. Good, but not really essential.